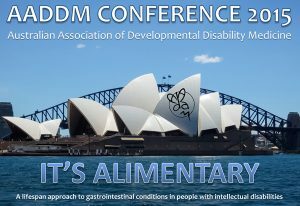 The 2015 Australasian Association for Developmental Disability Medicine (AADDM) Conference will be held over one day at the John Beveridge Lecture Theatre, Level 1, Sydney Children’s Hospital, Randwick NSW 2031 on Thursday 13th August 2015. On Friday 14th August 2015, will be a half day Post Conference Workshop – “Looking after the Waistline: Positive Cardiometabolic Health in People with an Intellectual Disability” hosted by Professor Julian Trollor. Cardiometabolic risk factors in people with an intellectual disability, and their contribution to morbidity and mortality. Barriers to effective monitoring and management of cardiometabolic risk factors in people with an intellectual disability. The relationship between psychotropic prescribing practices and cardiometabolic risk factors. The international initiatives to reduce the morbidity and mortality associated with mental illness. Targets for positive cardiometabolic health in people with an intellectual disability, including the latest recommendations for physical activity and exercise to manage cardiometabolic risks. Key tools available to assist health professionals in the management of cardiometabolic risk factors. Suitable for: Health professionals from all backgrounds including general practitioners, paediatricians, physicians, and psychiatrists.